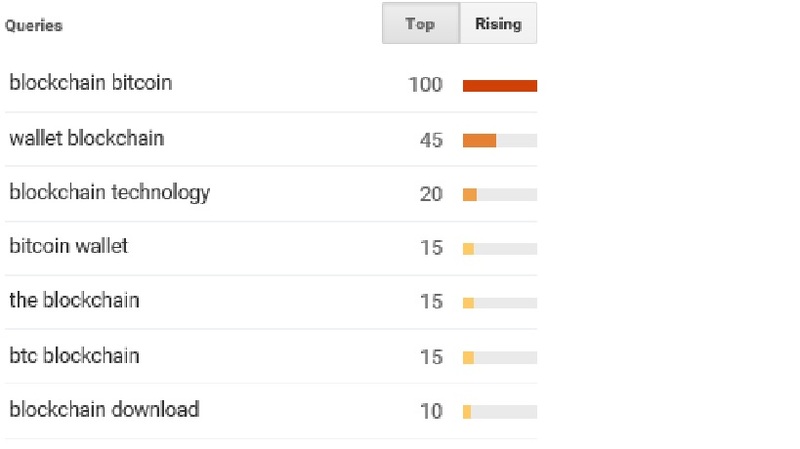 Whilst there’s continued acknowledgement that when someone says “Blockchain” they probably mean “Distributed Ledger” this clearly isn’t yet reflected in how people are searching google for information about the technology. 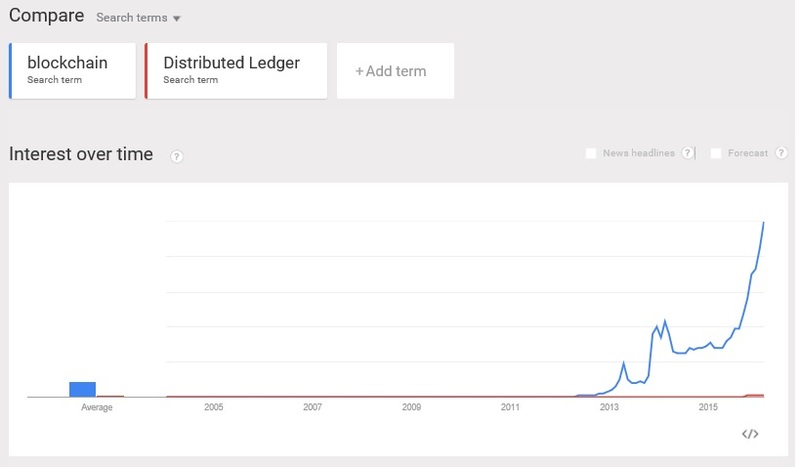 As the chart shows, there has been a massive spike since 2011 in use of the search term Blockchain. 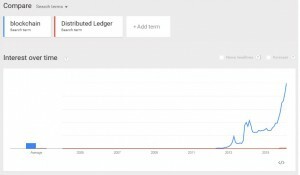 In comparison, the term “Distributed Ledger” is only just beginning to appear and in very low volumes. 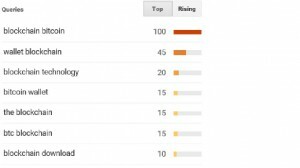 It will be interesting to see if Bitcoin continues to dominate the level of interest in Blockchain in 2016.